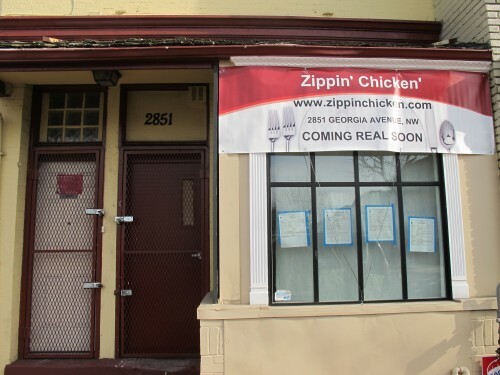 PoPville » More Georgia Ave. News – Zippin’ Chickin’ Coming Soon! Nice to see some movement on this building that’s been vacant for a while. I’m super encouraged that it looks like a very serious renovation is underway. Unfortunately Zippin’ Chickin’s Web site is not up yet but I’ll be sure to update when they open. They’ll be located at 2851 Georgia Ave, NW.